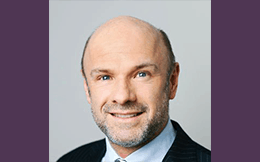 Alexander Buck is the Executive Director of the International Union of Forest Research Organizations (IUFRO), a global network for science collaboration uniting over 15,000 scientists in more than 600 member organizations in 125 countries. He studied forestry and law and is an expert on international forest, environment and resource policy. Alexander has 20 years of experience in working in research management and at the science-policy interface. He is a member of the advisory boards of various forest-related international initiatives, including the Program of Forests (PROFOR) hosted by the World Bank and Yale University’s Governance, Environment and Markets (GEM) Initiative. Stakeholders´ feedback to scientists. What are the key focus areas for future science really relevant for decision makers? We strive for impact! How are we going to take this forward?